Society has forgiven Jo Corbin for killing a man, but can he forgive himself? Will the postmistress lose all in a bid to help a friend escape justice? Will the new teaching assistant's unorthodox ways tame the unruly pioneer children? 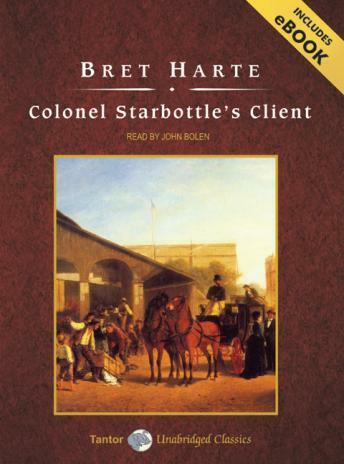 These are just three of the nine wonderful short stories from Bret Harte, set in wild and woolly nineteenth-century California.